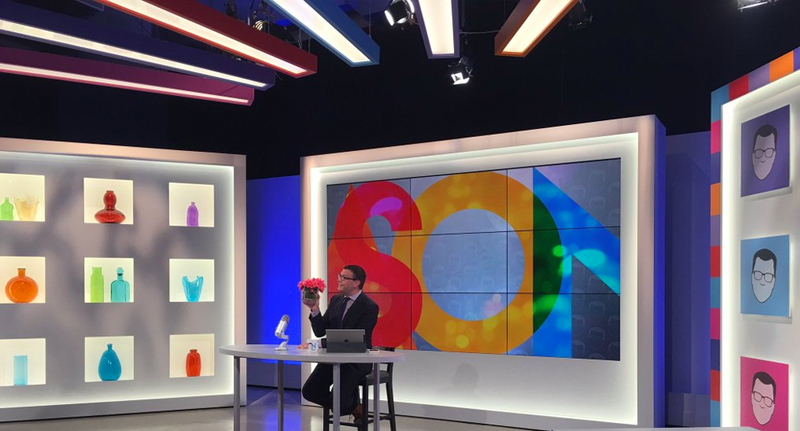 “The Jason Show,” a talk and entertainment show produced by Minneapolis FOX O&O KMSP-TV, is sporting a new look as the network tests the waters in new markets. The show will begin airing on three additional Fox stations June 6 as part of a broader test to see how the show resonates with viewers. 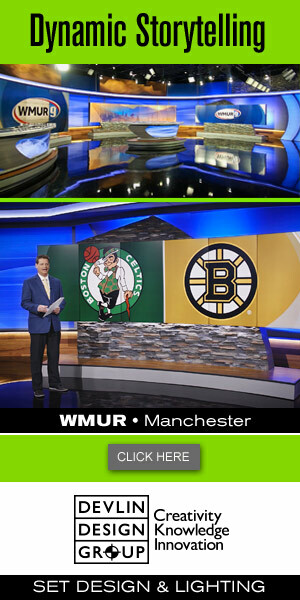 As part of the test, the show received a set upgrade — featuring a light and airy look dominated by a 3×3 video wall array. On one side, cubbies display colorful glass pieces, while the other wall features Andy Warhol-style prints featuring the outline and trademark glasses of the host, Jason Matheson. The walls of the set feature soffits with integrated backlighting, adding the light and open feel. Above the set an array of internally lit multicolored header elements are arranged in a burst pattern.